Wow. A Superior Court judge has ruled a new zoning plan for the Hollywood area doesn’t comply with state environmental law. That likely means it’s back to the drawing board for the city of Los Angeles’ planning agency, which spent years revising the plan that promoted smart growth by allowing larger buildings near transit stops. There are dozens of zoning plans that cover the city of L.A. The problem is that many of them are old and most developers seek exemptions by negotiating with the local council office and neighborhood stakeholders. Planning on a case-by-case basis makes it harder for the city to ever implement any kind of grand vision for any of its neighborhoods — and definitely makes it harder to cluster development near transit, something other cities have been adept at doing. Since June 2010, the Metropolitan Transportation Authority has given more than 250,000 such notes, titled Subway Delay Verification, to riders, determining whether their trains had in fact come in behind schedule, or if, perhaps, the agency had been unjustly scapegoated by a harried commuter. Passengers are asked to provide information like their subway line and the times and locations of their entries and exits. And then, maybe hours later, maybe days, the authority returns with its judgment — the transit equivalent of a doctor’s note, if a bit more bewildering. Metro, of course, has its share of service delays. Delay verifications can be obtained by contacting Customer Relations at Call Customer Relations at 213.922.6235 or by fax at 213.922.6988. Click here for the online customer comment/complaint form. Bike rentals are down by a third compared to 2012 and a major sponsor — Barclays Bank — is ending its partnership in 2015. The program launched in 2010 with great fanfare; the blog post thinks a price hike for bike rentals combined with an increased number of cycling deaths in London has turned off potential customers. 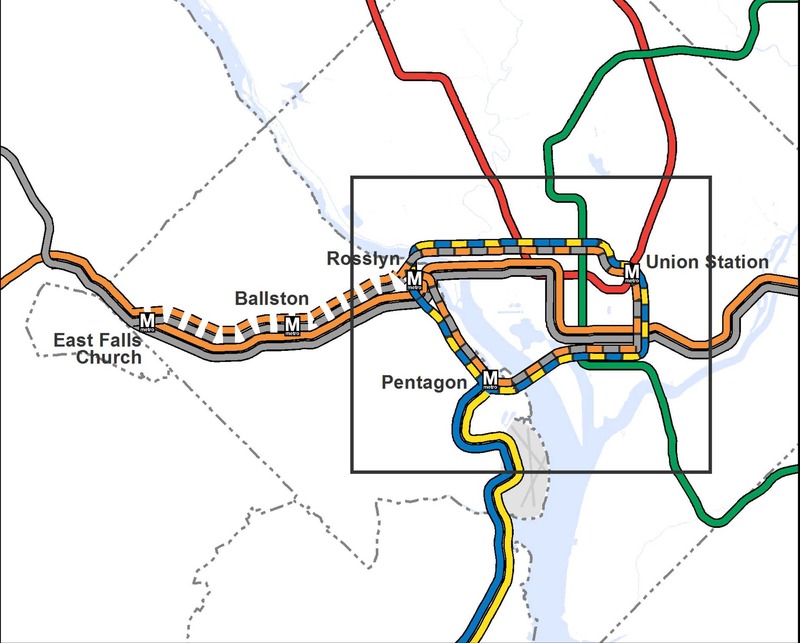 WMATA is the only transit agency to receive funding directly via a line item in the federal budget due to serving the federal district (it is actually a compact between Maryland, Virginia and the District of Columbia). And much like SEPTA in Philadelphia lacks a dedicated source of funding and thus annually endures the indignity of shaking a tin cup at the various jurisdictions asking that they pony up. Makes you appreciate what we have in this county with Propositions A & C and Measure R.
I’m willing to bet that majority of those anti-high density people in Hollywood are Baby-Boomers. They’re the ones that are always selfishly flapping their arms, wailing and bawling against high density projects because they hate any form of change. LA’s future development should be built for and by young millennials. Why should Baby Boomers always have to have things their way? They’re going to be dead in the next 20 years and they’re not going to live to see LA at its full potential, why should they keep dragging the rest of us down like this? Do they think they’re going to live forever and continue to believe LA can live like the 1950s? Jacob T., there is a chapter in William Fulton’s excellent The Reluctant Metropolis that documents this sort of behavior was happening long before the baby boomers were a gleam in their parent’s eye. Scott Bottle’s Los Angeles and the Automobile made me aware of the role neighborhood associations have played in shaping L.A. That is why I acquired a copy of the history of the Los Feliz Improvement Association which I donated to Metro’s library. They receive several mentions in Bottle’s book for various stances they took back to the 20s regarding street issues. The Hollywood high density project being killed off is yet another downward spiral of LA becoming more and more like Detroit and sinking further into third world status. @Jacob T: Baby Boomers paid for and built the transportation lines you rely on. They also earned their keep, worked hard and paid lots of taxes. They/we also served our country so that you could put us down. Us baby boomers saw L. A.’s full potential as far as transit until the government(old MTA) delivered the final nail in the coffin when they canceled the last of the rail service we had instead of resurrecting it when they had the chance. I know of only one project in Hollywood being challenged. It’s the two high rises adjacent to the Capital Records Building. Not only are they on a earthquake fault but I think their location would detract from the records building. Building them in a safer location seems like a far better idea. Perhaps at Hollywood and Argyle where a large ugly parking lot exists. I wonder if the Washington Metro will ever serve Dulles Airport? I rode the trains in and around DC when I was visiting. Great system they have there. But the reality is you guys are not going to live forever and the 1950s and 1960s has long past our history. Our generation embraces high density lifestyle. Yours don’t. There’s a huge generation clash here in differences. And that fact is that the Baby-Boomers need to stop baby-sitting us. Think of how you are going to spend your retirement years instead of constantly baby sitting us with all these arcane laws and regulations which get nothing done and continues to affect our lives as adults. Who cares if there’s a fault line underneath. LA is full of earthquake faults. Everytime we try to build something, are we going to keep saying “oh there’s a fault there so it can’t be done?” Give it a rest. There have been many technological improvements in high rise constructions that allows us to build safe high rise buildings even in earthquake land. Look at Japan. I didn’t see all their high rise buildings collapsing to the earth in Tokyo when they had their magnitude 9.0 earthquake two years ago. How much more proof do you need that technology solves that problem? You had a 9.0 earthquake in Japan that was 1000 times more powerful than the Northridge earthquake and all their buildings stayed standing. We can take care of our own future by designing this city for our generation and for the next generation of Angelenos in our way.